Perfect starter home! 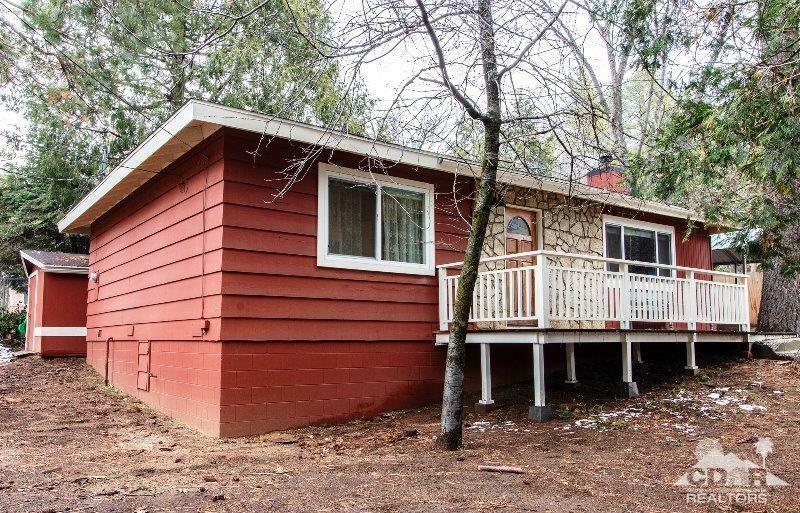 Across the road from Idyllwild Elementary, it's a short stroll to the Village. 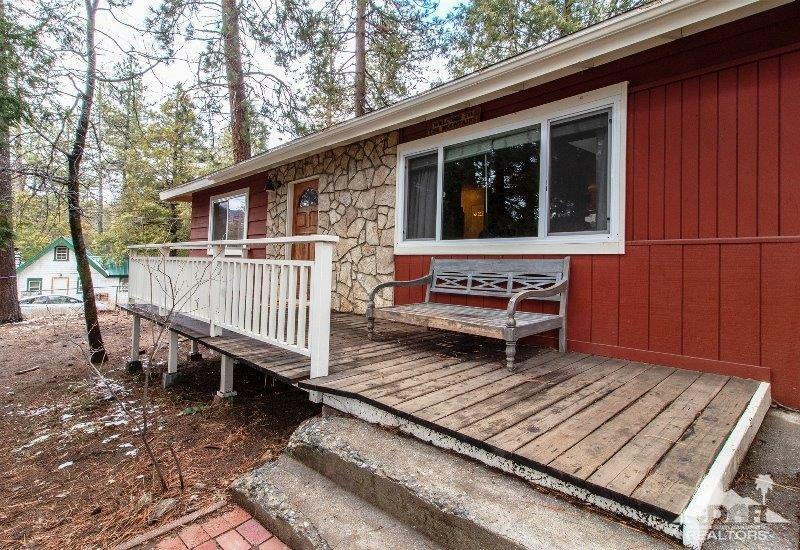 Comfortable front Deck, then into the open Living/Dining Rooms with vaulted ceilings, skylights, wood-stove insert in Rock Hearth Fireplace and big dual-glazed picture window. 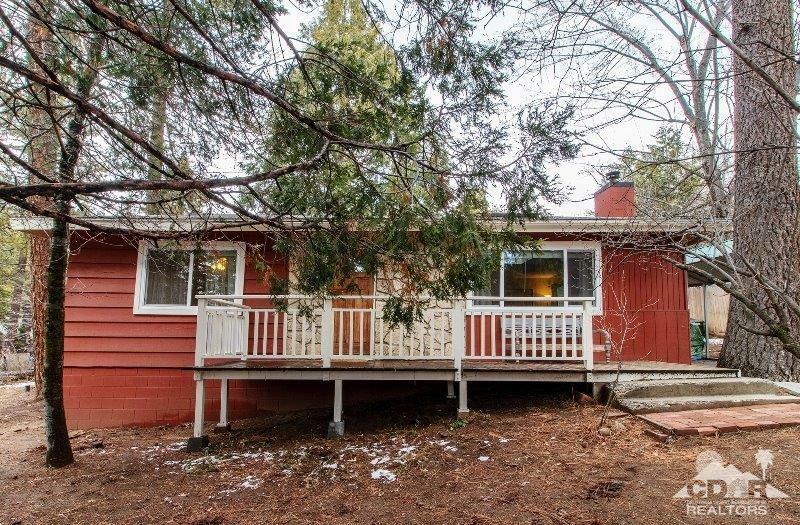 Two adjacent Bedrooms and full Bath. Light/Bright Kitchen. Large Utility/Mudroom leading to easy access Carport. Fully fenced, flat corner Lot. Small Workshop/Storage Shed for projects. Time to get moving! 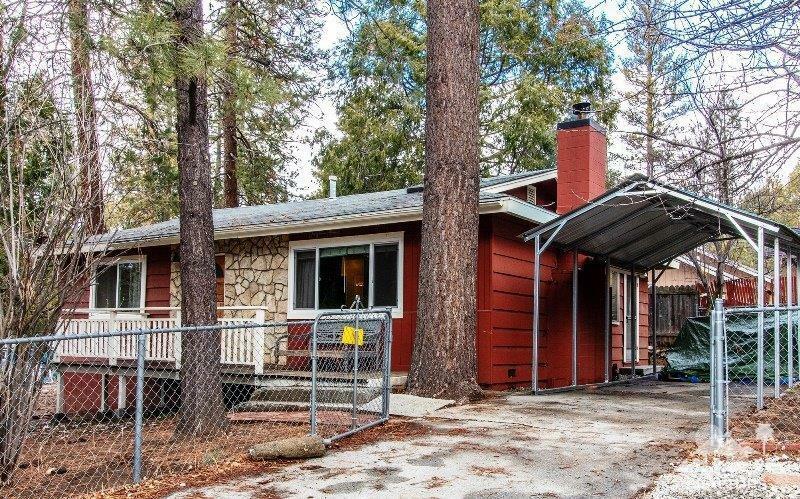 Listing provided courtesy of Larry Bischof of Idyllwild Realty.